There are many options for assistive listening technologies. This blog post provides a comparison between the three technologies used in assistive listening. There’s been a lot of discussion about Hearing Loop technology for use in assistive listening. The recent New York Times article “A Hearing Aid That Cuts Out All The Clatter” points to the many benefits of using induction loops in theaters, places of worship and other venues. 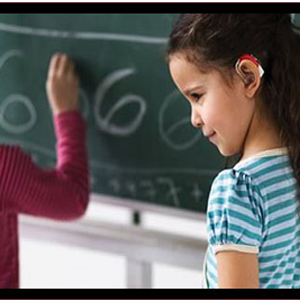 Thus, the purpose of this blog is to provide a comparison between the three technologies used in assistive listening. RF (Radio) Technology – This uses the same technology used by a radio station or a two-way radio to wirelessly deliver audio to your ears using an RF receiver and earphones. The system uses a small transmitter with an antenna to cover an entire theater or stadium. IR (Infrared) Technology – This uses infrared light (yes, the same IR technology as in your TV remote control) to transmit audio to your ears using an IR receiver and earphones. These systems use IR radiators (it’s like a headlight on a car) to flood IR light into the facility. Most facilities require about four radiators to be installed throughout the venue. Induction (Loop) Technology – Hearing Loop technology uses a magnetic field to wirelessly transmit audio to your ears using either a “T-Coil equipped” hearing aid with a built in “T” switch or or, with a Hearing Loop receiver with earphones. These systems use a wire, or flat copper tape of loop(s) that are typically installed on the floor of the entire venue. The added install cost is the reason that hearing loop systems can potentially cost more than RF or IR system, especially in retrofit installations. If you’re like 10% of the population and you struggle to hear, assistive listening systems like these can dramatically improve your ability to enjoy the content delivered by the venue. All three of these technologies offer this advantage whether you have a hearing aid or not. Now, if you do have a T-Coil or, TeleCoil equipped hearing aid and it has a “T” switch, a hearing loop system makes it very simple to use. You simply walk into the venue, set your “T” switch and presto you hear audio right in your ears. You don’t need a receiver or earphones. It’s magic! This is why hearing loop systems have such a wide appeal for people who have “T” switch hearing aids. In North America, many people who have hearing aids don’t have a T-Coil or, TeleCoil equipped hearing aid with a “T” switch where as in Europe most hearing aid users do have a “T” switch. My hearing aid does NOT have a “T” switch, and thus, no matter what type of technology a facility might have, I have to request a receiver and earphones to hear the audio. Maybe my next hearing aid will have a “T” switch. Thus, the “magic” of a hearing loop system can only be enjoyed by those individuals who have a hearing aid with a “T” switch. Everyone else must use a Hearing Loop receiver and earphones. The fact is that the majority of people who are hearing impaired do not even own a hearing aid. 2. Ability to deliver multiple audio sources. The cost of a typical RF system is less than $5,000 and the cost of an IR system is less than $10,000 for an average venue. Hearing Loop systems can potentially cost much more. The lower cost of RF and IR is because the building does not need to be modified to be installed. In Hearing Loop systems, (depending upon the design) the loop must be installed over the entire floor of the venue and it must be carefully designed and installed to ensure complete coverage and no interference to equipment within the facility. Additionally RF and IR systems can also be used for multiple audio sources. For example, at the Kennedy Center they use their IR system not only for assistive listening but they also use it for audio description and audio instruction. While the New York Times article “A Hearing Aid That Cuts Out All The Clatter” referenced this facility, the Kennedy Center does not use loop technology* because of their requirement to transmit multiple audio sources. If a person does have “T” switch or, “T-Coil equipped” hearing aid, they can still use an RF or IR system to connect directly to their hearing aid. This is done by plugging a neck loop into an IR or RF receiver (it’s worn around the neck). The neck loop inductively connects to the hearing aid. It is great to hear the enthusiasm and the interest in Hearing Loop systems for assistive listening. Hearing Loop systems offer a great convenience and “magic” factor people with “T” switch hearing aids. And no matter what technology a venue chooses, anyone can use and benefit from the system. When you consider 10% of the population is hearing impaired (just like me…) it’s important that we have the ability to enjoy a play or enjoy the music. This chart offers a side by side comparison of some of the considerations for each type of technology. Hello, I use hearing aids with telecoils (Resound LINX) and am interested in, “If a person does have “T” switch or, “T-Coil equipped” hearing aid, they can still use an RF or IR system to connect directly to their hearing aid.. This is done by plugging a neck loop into an IR or RF receiver (it’s worn around the neck). The neck loop inductively connects to the hearing aid.” Can you point me to any such “neck loop” products/devices that could be plugged into the kind of RF receiver available for loan in theaters (movie, legitimate)? I ask because I feel that my Resound aids provide much more of an intelligibility boost in venues that employ hearing loops than the more frequently found RF systems (with receivers and headphones.) Thanks for your attention. Thank you for your inquiry. All of our new iDSP receivers when used in conjunction with our integrated neck loop/lanyard will provide you with a similar listening experience as a hearing loop. Our advanced iDSP RF receivers are the LR-4200-072, and the LR-5200-072, our IR receivers are the LR-4200-IR, LR-5200-IR, and the integrated neck loop/lanyard is the LA-430 *which is included in all standard receiver packages. You can use our RF receivers with other installed systems, as long as you know the correct channel they are using. In addition, our IR receivers will work with all other IR transmitters, and provide a better sound quality because of our DSP technology. All public venues are required to provide a specific number of telecoil compatible receivers/lanyards so the places you visit may already have receivers that will work with your telecoil. Hi. Have I misunderstood, or do IR and RF systems require listeners to have a receiver ? If everybody needs a receiver, then I should like to know the cost – no specific example is given, so I’m left wondering where the cost figures come from ? Yes, both RF and IR require a transmitter/radiator combo to transmit the signal to the receiver. They range from $170 to $220 each based on functionality. Contact [email protected] for more information or specific pricing. I am a bi-lateral cochlear implant user. It is really not debatable that the Induction loop is the “wheelchair ramp” for hard of hearing HOH people. FM and IR systems are equivalent to having to somehow get in the building find the two guys with the planks and hope they haven’t cut off a piece of one of them. Get them to come out and put the planks on the stairs so you can get in with your wheel chair. Yes ADA says that you need some IR or FM recievers actually about 2 out of 5 ration–the number are in relation to the number of seats. Those standards came in 2010 but many systems predate that. My exerience is that only 2 out of ten places that I have used one of these do they have some with a neck-loop. Example in 2014 I attended a cibferebce if abiyt 2200 people in the then brand new Convention Center in Cleaveland. I had ordered an ALD with neckloop on my registration form. When I went to pick it up there was a large pile of FM recievers all with earphones. I would estimate 50. I asked those at the counter if they had any with neckloops they had no idea what the FM recievers were much less what a neck loop was. They were very welcoming and made a phone call and the person in-charge of conference arrangements came within a few minutes. She knew what I was talking about and appoligized for not having it and said she would call the AV provider in the morning and get me one. It was the following evening that she told me there was no AV rental provider in the Cleveland OH area that had an FM receiver with a neck-loop. In 2015 I was receiving recognition by the my local City Council for Art Work I had exhibited. I asked for and ALD—they rustled to find them. They were covered in dust. they were Sennhauser IR ear phones–6 of them–none with earphones or a orifice that would receive an neck-loop which I had. Two months latter I was informed that they now had two neck-loop receivers. They tell me I am the only one who has used the system and It was installed pre-2010. I live in a “retirement community” I’d say that was a major waste of money and an extremely expensive outlay. By way of disclosur I am leading a Let’s Loop Arizona initiative–largely for the above reasons.